Echeveria Domingo is simply magnífico and would love to be up on your table in a pot. 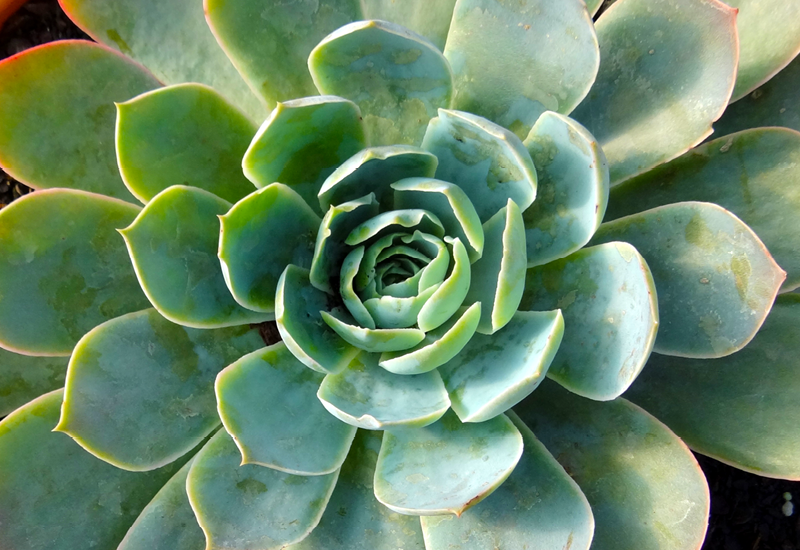 It’s a beautiful succulent with large pale-blue leaves which shimmer in the sun. We love the pastel simplicity of it, and because it stays as a single rosette it’s the perfect compact feature plant. Pop in a well lit position in a good succulent mix, and water sparingly.